When someone experiences such error while downloading via a browser. They might get details about the error saying ” Out of HTML5 Offline Storage Space Mega ” in the error pop-up. What exactly this error means is that your available browser storage for Mega or any other website has been depleted. Normally, browsers dedicate some storage out from their hard drive. 1 How To Fix “Your Browser Storage for Mega is Full” Error? 2 Will this fix, Restore Mega browser Storage to Full? How To Fix “Your Browser Storage for Mega is Full” Error? Before going into the actual fix, First just wait out for the error to occur. 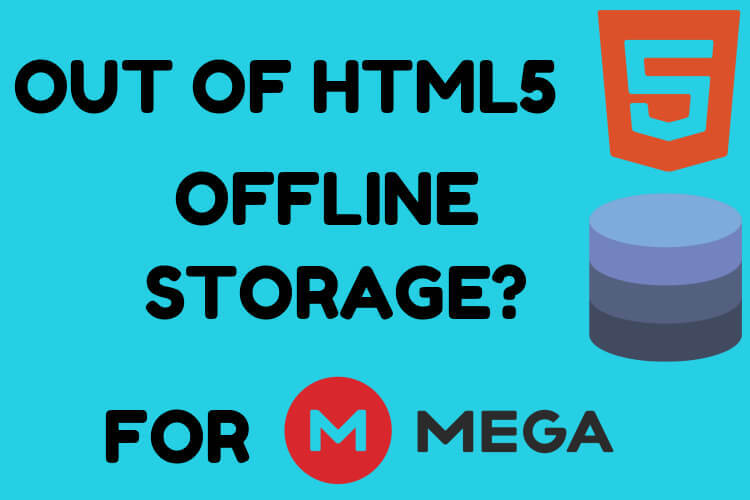 Normally you won’t see out of HTML5 Offline Storage Space Mega unless you’re downloading huge files. And the message will be like ” Your Available Browser Storage For Mega cannot handle this Download Size, Please Free Up some Disk Space “. In that case, type the following URL: chrome://settings/ on Google Chrome and press Enter. 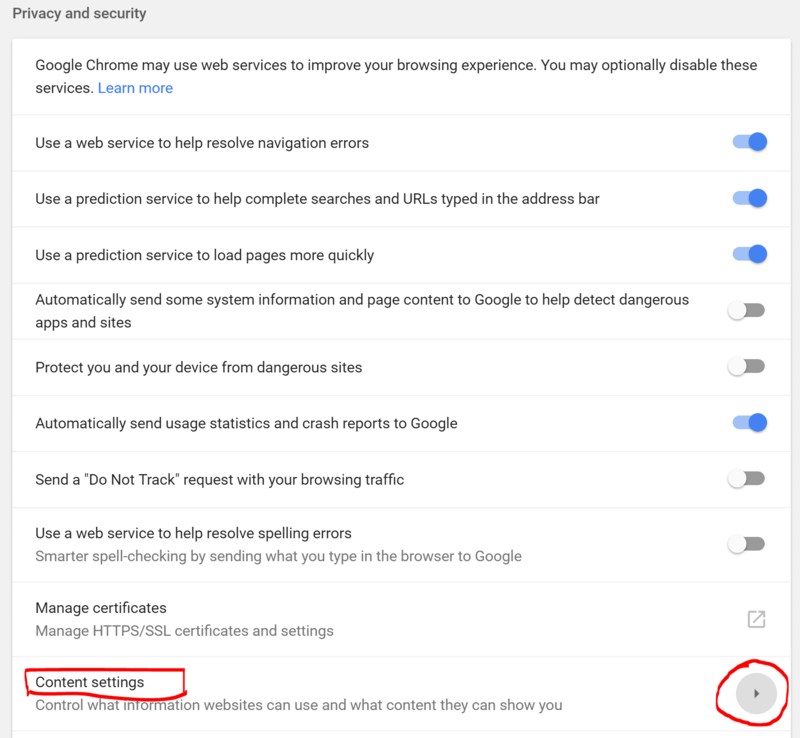 You’ll be taken to Google Chrome Settings page. Scroll down to bottom and click Advanced Settings. From the Advanced Settings choose ” Content Settings ” under Privacy and Security Tab. In the Cookies menu, search for ” Mega.NZ ” in the right search bar beside ” All Cookies & Site Data ” as shown in the below pic. 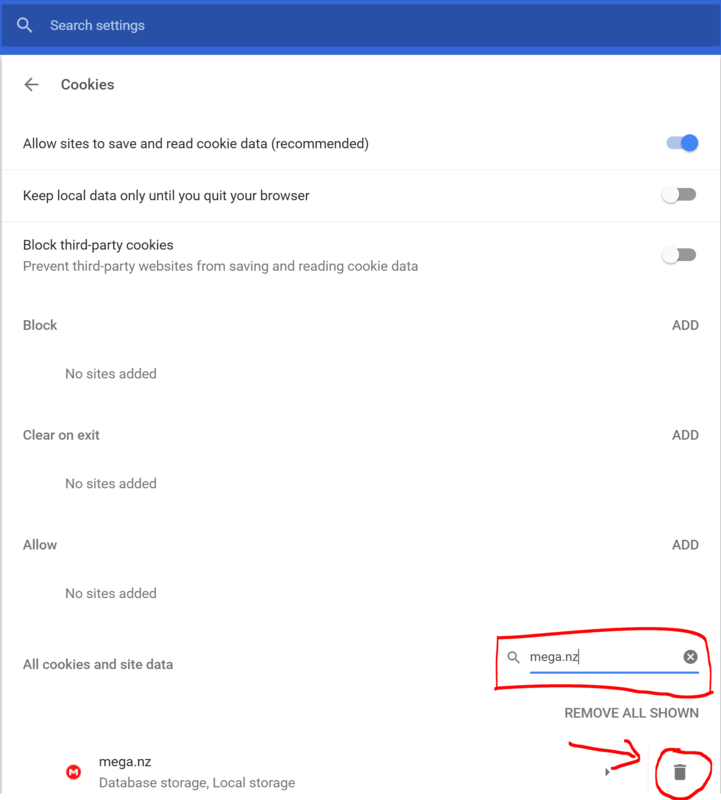 Once the Mega Cookie data appears, Delete the record using the remove button. Follow the below pic for more info. Will this fix, Restore Mega browser Storage to Full? What this actually does is that it’ll delete the existing cookie data for the particular Mega Session. As we all know that sensitive info like instructions will be saved in cookie data. So deleting the particular cookie data might restore the storage to full allowing to download more than expected file size. Will this solve the error – Your Browser Storage For Mega is Full appearing again? Well not permanently, because the next session might restore the cookie data and you’ve to follow the same procedure, again and again, to fix this temporarily. Also, this error only occurs with huge files that are more than 10 GB of size. And, I haven’t observed this for sizes smaller than 10 GB on Mega browser download page. For that, I would strongly recommend using mega link downloader and using this you can pause, resume and do more. A detailed explanation to download via IDM is coming soon. Stay tuned for that. Meanwhile, you can check how safe is the downloader? from here: Is MegaDownloader Safe to Use? Your Browser Storage for Mega is full might also occur if your hard disk space is also low. So, you might need to check that too while going over for this fix. If that’s the case this fix might not solve your issue. Let me know if there’s anything else you need assistance with regarding the fix. A detailed video tutorial might be updated soon. Thanks! I’m glad that this tutorial worked for you.